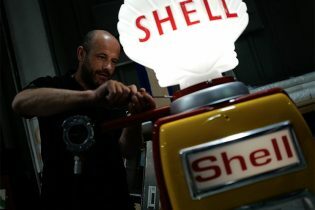 This fabulous vintage petrol pump arrived in our workshops last month to much admiration and interest. 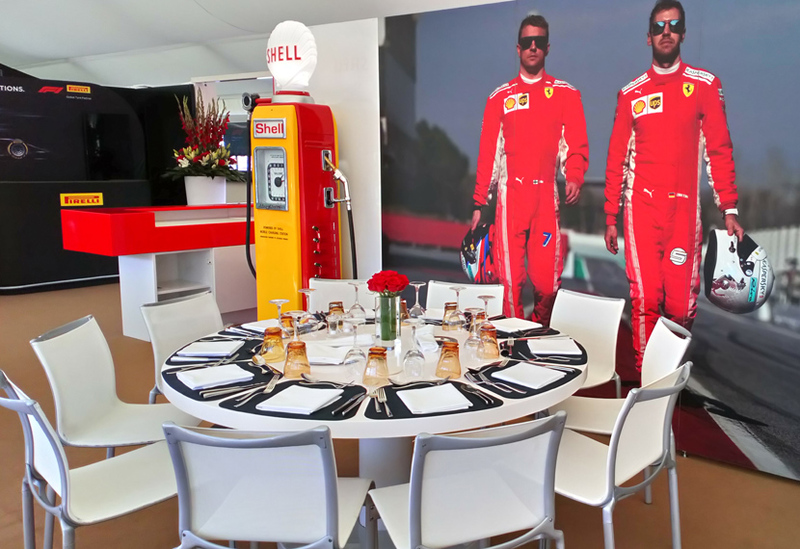 The small team allocated to the job relished the opportunity to work with a classic piece of design, transforming it into an eye-catching VIP mobile phone recharging station at last weekend’s Hungarian Grand Prix. Smaller projects like this are no less satisfying because of their diminutive size. 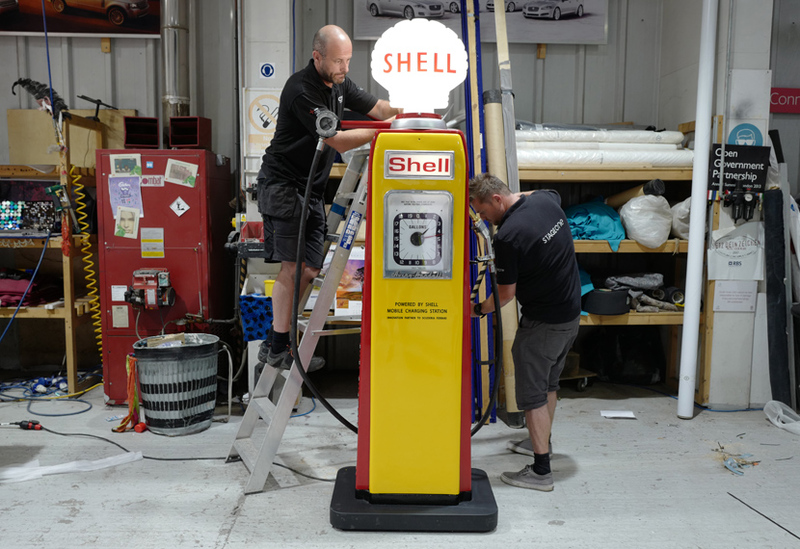 In fact, working on refurbishing and repurposing this rare item of automobilia saw our team employ a great deal of attention to detail, keeping the look of the pump in line with our client’s spec, the original pump design and the phone-charging requirements of today. 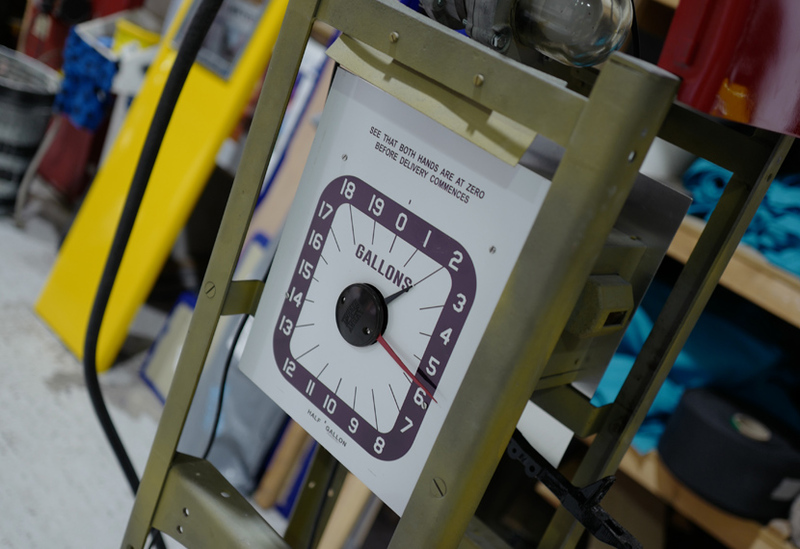 Our Metal Shop undertook the delicate process of cutting the bodywork of the pump, before an internal timber cabinet was added, creating a series of pigeon holed boxes, each with the relevant wiring for charging phones and each with a lockable door. All work was then painted in the precisely colour-matched shade of vintage Shell red. 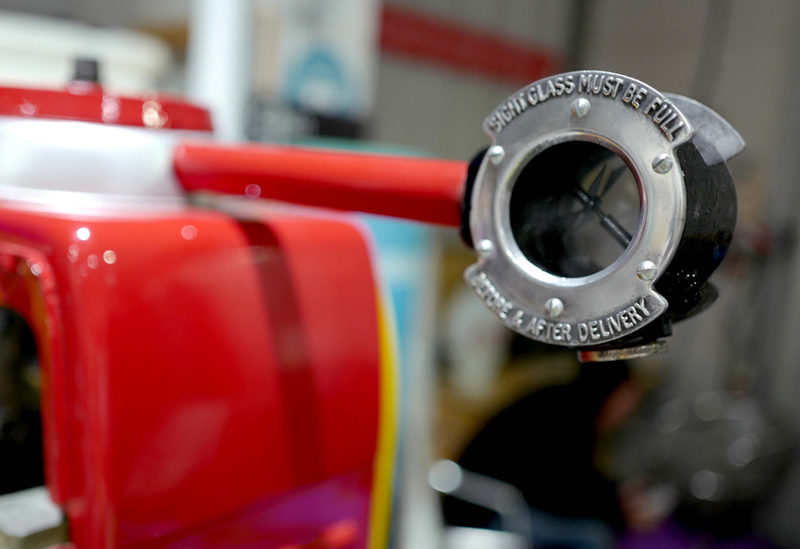 We even made a bespoke flight case to protect the pump in transit. The client was as pleased with the result as we were! 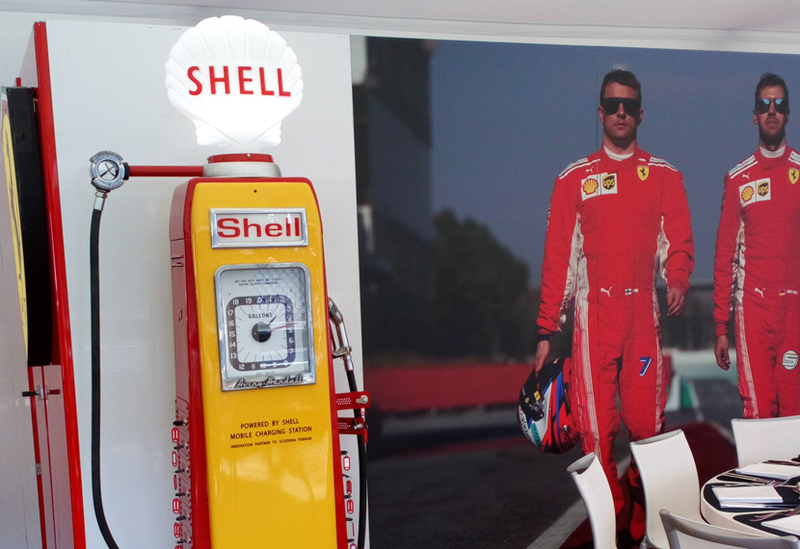 You can take a look at some of our other small projects by following the links below.